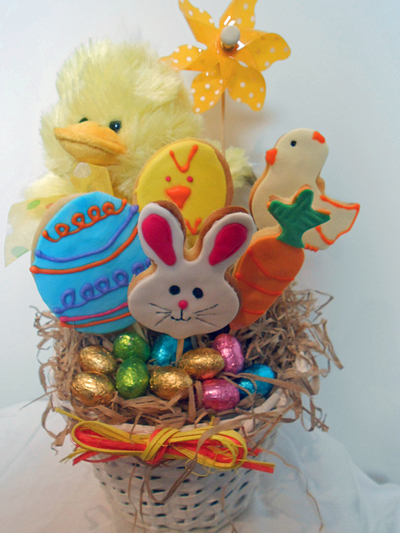 Something fun you can do with the kids this Easter - make a special Easter gift basket. Have your easter basket ready on the bench. Now add your paper shred. 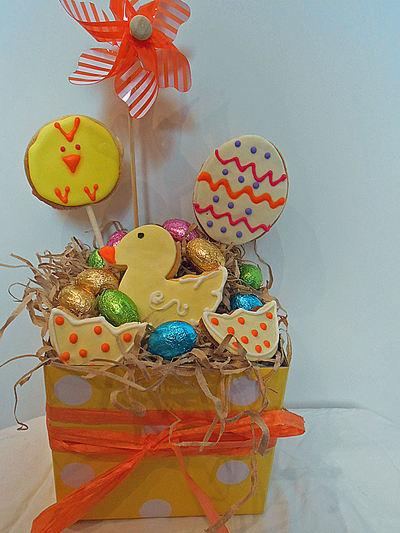 Cook your delicious cookies and make sure to insert your bamboo skewers for your easter basket. Once cookies are cooled cover them with your icings and decorate them with with more icing only once the top layer icing has dryed. Place your cookies into your dry foam which will be placed underneath the paper shred to give it the height. Wrap in cello and tie with a ribbon to give as a gift basket or place it on the table on Easter Sunday for all the kids to get a special treat. AACTA Awards & 16th Birthday Present.